After his mother’s death, Theo lives for a while with the wealthy family of a friend. Later, he finds himself living with his absentee father in an abandoned Las Vegas suburb, where he befriends a classmate named Boris. With very little adult supervision, the boys get into all kinds of trouble — drinking, shoplifting, and experimenting with increasingly dangerous drugs. After a few years of this lifestyle, Theo hightails it back to NYC, the city that had been his home until his mother died. Back in New York, Theo falls in with Hobie, an older man who expertly restores furniture. They become business partners, Hobie conducting the restorations and Theo dealing with customers. Still struggling with the loss of his mother and drug addictions he is unable to shake, he makes some… rather shady business dealings. Throughout these changes in scenery, Theo keeps the goldfinch painting close, obsessing over it and its connection to his mother. To say he is haunted by her death puts it lightly. He is shattered by it; nothing in his life is ever the same again, and he can’t find a way to cope with his loss. 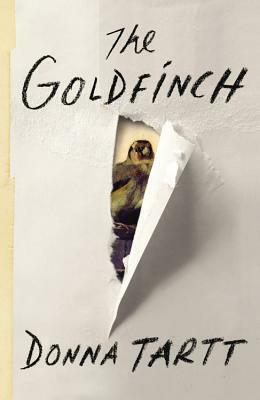 Although reading The Goldfinch feels like a huge commitment, it’s such a great journey. Theo takes us from the comfortable New York City of his childhood; to the druggy haze of his adolescence in Las Vegas; back to a New York that reminds him, devastatingly, of his mother at every corner; to scenic Amsterdam for a thrilling heist; and finally back to New York, yet again, where Theo must try put the pieces of his broken life back together. From a pure entertainment standpoint, The Goldfinch is fantastic. But it is also beautifully written, and it portrays such perfectly damaged characters that I wanted to hug them even while shaking my head at their decisions. The ending of this book is incredible; it’s beautifully introspective as Theo works through his life philosophy — that life is a catastrophe, but that we can find meaning in art and love. The Goldfinch is a gorgeous book. It’s long and expansive and almost Dickensian in its attention to detail. It is at once a tale of the harsh, random, inevitable tragedies of life and an ode to the redeeming power of love and art. I loved this book, and now I’m dying to dig into Tartt’s backlist! Yay! Still planning to jump into this one soon. Probably in February. Totally agree that it’s that perfect combination of entertainment and wonderful writing, which we don’t seem to come by all that often. So glad you enjoyed it! This book is waiting on my kindle! I love hearing how much everyone is digging it. You haven’t read Tartt’s other stuff?!? I must admit that I didn’t love her second book (The Little Friend) but The Secret History will always be one of my all time favs. So get reading. This was easily one of the best books I read last year–I loved it. Hobie was my favorite character–he’s so great. I really need to get past the sheer size of this book and just damn well read it! I’m such a fan of Donna Tartt. Lovely review. Really glad you enjoyed this – I adored it, and Tartt is my favourite writer. I love how you say ‘backlist’ when there are only two other novels! But they are both amazing and I could not recommend them highly enough. Would love to know what you think of them. so glad you liked it. i already have it on my tbr list. it looks really good. I hope you enjoy it! I’d love to hear your thoughts. I can’t wait to read this! Ugh! I need to finish my required reading NOW. First I wasn’t going to read it, then everyone is loving it and posting reviews and I think that I should do, because if you all you, bloggers I trust, love it, I’m pretty sure I will as well. I’m really excited to read this- I’ve heard nothing but good things! I read her book The Secret History and thought it was amazing. I can totally understand how it wouldn’t be someone’s cup of tea!